POSITION SUMMARY: As part of the Kerry’s Place Autism Services management team, the Manager is responsible for the: leadership and supervision, resource management, quality outcomes for the persons we support and quality assurance measures to provide efficient and effective provision of supports and services for persons diagnosed with Autism Spectrum Disorder and their families. 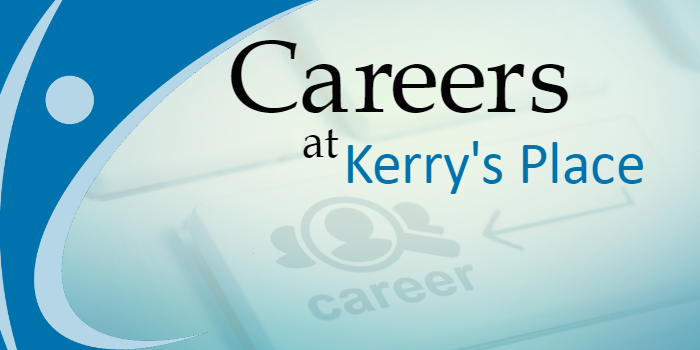 Kerry’s Place offers a competitive overall compensation package for our full time permanent employees which includes but is not limited to: paid Vacation; paid Personal Emergency Leave; and additional paid Flexible time; employer paid group Health and Dental benefits; and the employer matched Pension Plan. We also provide developmental and training opportunities such as Nonviolent Crisis Intervention (CPI), Autism Spectrum Disorder specific training, CPR/First Aid etc. Develop, implement and lead organizational change in line with the Strategic Plan. In collaboration with Human Resources, provide appropriate staffing to meet the needs of the persons we support through effective recruitment, selection, and orientation. Adhere to the Collective Agreement where applicable. Ensure the efficient operation and maintenance of residential or community sites as assigned. Provide support through evidence-based treatment models and approaches for persons diagnosed with ASD. Work collaboratively with multi-disciplinary resources to provide evidence-based supports and services. Ensure person-directed planning is effectively implemented and persons’ goals are being achieved. Develop and maintain positive relationships with families, partner agencies, volunteers, government employees and the community. Ensure the health and safety of supported persons in accordance to Ontario Regulation 299/10 Quality Assurance Measures, Provincial and Municipal regulations and by-laws. Ensure professional and thorough records are maintained and up to date for all persons being served. Five years of experience in human services. Strong knowledge of the Developmental Services sector. Knowledge of Autism Spectrum Disorder and evidence-based treatment models and approaches. Knowledge of budgeting and scheduling of employees is an asset. Must have the ability to complete the Non-Violent Crisis Intervention (NVCI) certification, First Aid/CPR as well as perform the required physical techniques. Training will be provided. Position requires flexible hours including evenings, weekends and holidays. Provide on-call coverage (which may include evenings, weekends and holidays).